Your Essential Autumn Bucket List! My oh my, it’s finally here! My favorite season. Summers have been hot on Long Island recently. Usually by mid August I’m over the beach, bitter about the chafe between my thighs and a little bit crazed from the constant drone of the air conditioner. Fall is my time. I put on my Ugg boots, my oversized scarf and I dig into my basic-ness. I embrace it now. Fall is the best, but it is fleeting. Before the stress of Christmas shopping, snow plows and the sun setting at 4 pm, this is the magical time, the golden season. 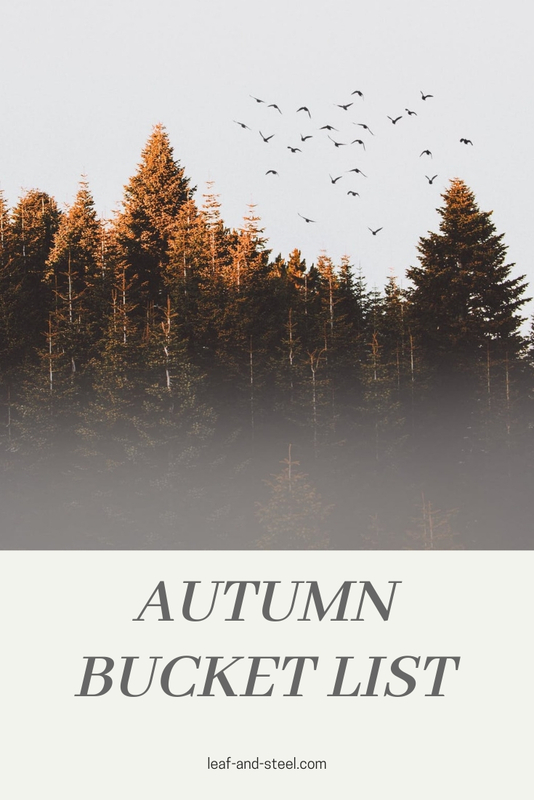 Since my cheesy soul comes out when the first hint of orange hits the trees, I wanted to compile a autumn bucket list. So, here are 30 things to do this fall. Find the freshest apple cider. Get out of town to see the leaves change. Listen to a fall playlist. Bring out the scarves and sheepskin boots. (Try to) cook a turkey. Do a fall photo shoot. Find a good plaid vest. Find an original halloween costume. Buy a fall themed wreath. Meditate while raking leaves (trust me on this one). Bake a fall flavored pie. Shamelessly order a Pumpkin Spice Latte. Take photos in the leaves. I hope this makes you crave cinnamon and leggings and clever Instagram hashtags. Before you get lost in Thanksgiving festivities and holiday planning, take some time to play in the leaves, or carve a pumpkin. There’s nothing like honoring your inner child as the seasons change. What’s your favorite season? What are your favorite fall activities? Let me know below!